Town’s U18s are in action against Coventry City at Playford Road on Saturday afternoon KO midday). The young Blues, who were beaten 3-1 at Millwall last week, are currently second in the Professional Development League Two South table, two points behind Cardiff having played two games more. 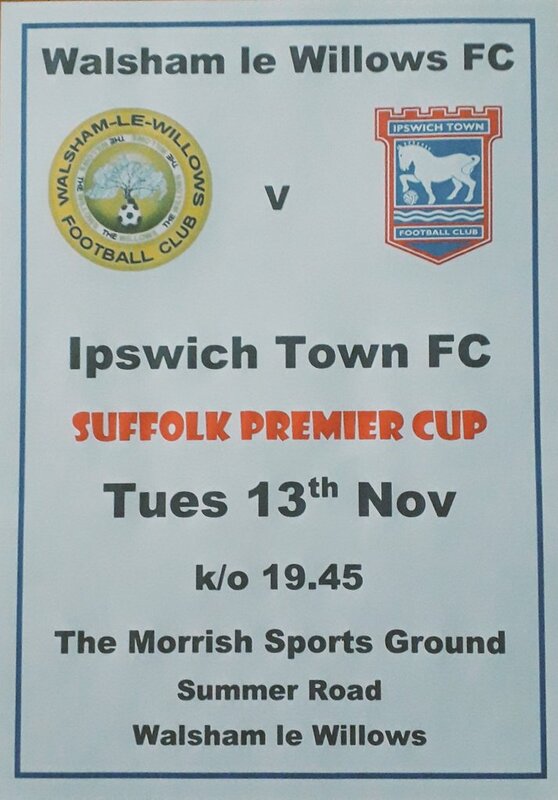 The U18s are in action again on Tuesday in the Suffolk Premier Cup against Walsham le Willows at Summer Road. Town have fielded an U18s team in the competition since re-entering in 2015. Last season they exited at the quarter-final stage when they were beaten 2-1 at Leiston in the final minute.